Multiplayer DLC will continue to be released, but the Feb. 14 add-on will be the final chapter in the game's story. 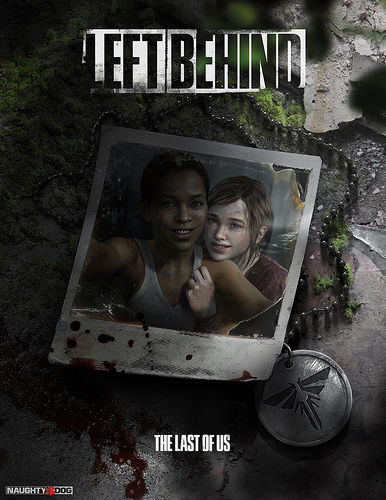 Story-based content for PS3 hit The Last of Us will conclude with the upcoming Left Behind DLC, Naughty Dog's community strategist confirmed on the European PlayStation Blog. "There's multiplayer DLC up next. We don't have any more single player DLC planned," Eric Monacelli wrote in the blog's comment section. Monacelli stated that the DLC would be of a sizable length, depending on difficulty, and that new music was being recorded for it as well. We already know that the Feb. 14 DLC will feature Ellie and her best friend, Riley before the apocalyptic events of the main story and that multi-faction combat will figure into the game. How does this news sit with you, fans? Do you think Naughty Dog will give the critically-acclaimed title the send-off it deserves, or are there still more stories you want to hear told in the game's world?